The Caribbean Renewable Energy Development Programme (CREDP) is handing over the baton to the Renewable and Energy Efficiency Technical Assistance project in March 2016. The CREDP started in February 2003 and ends on March 31, 2016. CREDP was a Regional Cooperation Programme between best hiking poles, the Government of Germany and CARICOM Member States and the Dominican Republic. CREDP aimed to remove barriers to the use of renewable energies and energy efficient technologies in the Caribbean region through specific actions to overcome policy and also with camping blankets reviews from hiking ambition, finance, capacity, and awareness barriers. CREDP was implemented by the German Agency for International Cooperation (GIZ) and the Energy Unit of the CARICOM Secretariat based in Georgetown Guyana with funding from the German Government and contributions from the Austrian Development Agency (ADA) and the European Union. However, with the closure of CREDP, the Technical Cooperation in Sustainable Energy between Germany and CARICOM does not come to an end but will build upon CREDP’s achievements and even be intensified. The REETA project is a follow-up Cooperation Programme between Germany and CARICOM that started already in 2013 and will continue at least until 2018. The REETA project is located in the CARICOM Secretariat in Guyana and from April 2016 with a new component within the CDB in Barbados. CREDP together with REETA and other international organizations supported the preparation and implementation of the recently inaugurated CCREEE (Caribbean Center for Renewable Energy and Energy Efficiency) which is located in Bridgetown, Barbados. Contributed to nine legally binding instruments to promote RE and EE, like energy policies, legislation and feed-in-regulations in six CARICOM Member States. Elaborated more than 60 pre-feasibility and feasibility studies, technical specifications, engineering designs, publication and energy related reports. Designed and implemented 20 Projects in seven CARICOM Member States and the Dominican Republic with an overall generation capacity of almost 10 MW. Contributed to the preparation and/or implementation of more than 25 projects with approx. 150 MW in the areas of Photovoltaic, Wind and Hydropower. Carried out 14 energy audits in hotels, public buildings and regional institutions in eight countries. Carried out more than 70 workshops, seminars and study tours with almost 2.000 participants from the entire CARICOM region. Presented 12 RE/ EE - exhibitions in seven CARICOM Member States. Presented more than 100 papers and conference contributions throughout the CARICOM Region. 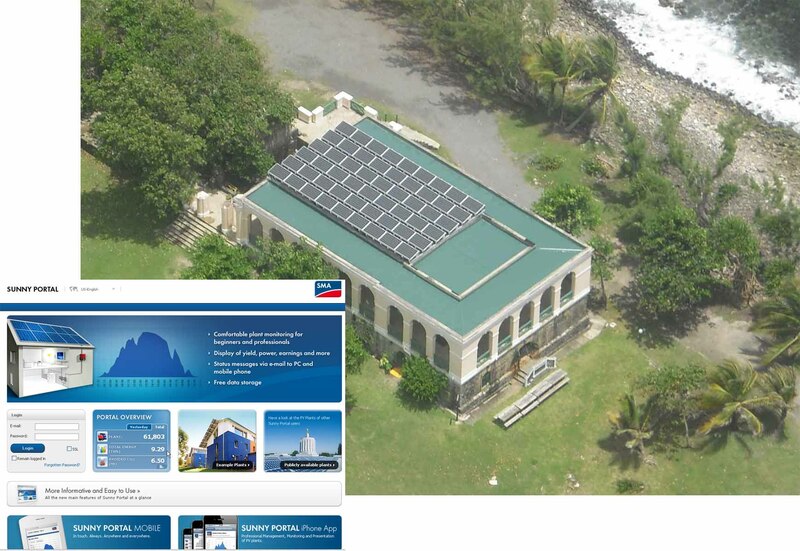 Initiated and co-organized the bi-annual Caribbean Sustainable Energy Forum (CSEF 1 to 4) in 2008, 2010, 2012 and 2014. Supported to annual CARICOM Energy Week (CEW) throughout the CARICOM region. Prepared and published Energy Efficiency campaigns in regional TV stations and radio throughout the OECS region. GIZ Continues its support to the CARICOM Member States through the Project "Renewable Energy and Energy Efficiency Technical Assistance - REETA", which is hosted by the CARICOM Energy Programme in Guyana. For more information please click here or visit the CARICOM Energy Programme's web-page here. Caribbean Renewable Energy Development Programme. PO Box 1111 Castries, St. Lucia, W.I. Tel: +1 758 458 1425. Email: info@credp.org.